Greetings – if you are looking for the Tom Stuart who is the husband of Susan, father of five, grandfather of twelve, leader of Ignited2Pray Ministries, the founder of Bridgewood Community Church and Interactive Church Resources you’ve discovered his website. Tom’s spirit of adventure was nurtured through a childhood in the wild-west of Montana, a junior high in Grand Forks, ND and high school in Breckenridge, MN. He later scaled the heights as a high jumper and Philosophy Major at the University of Minnesota. In his mid 20’s, Tom’s architectural education and continued pursuit of athletic glory were sovereignly interrupted by God through a dramatic conversion experience and call into the ministry. His formative years were as a youth pastor leading over the course of time to his becoming the senior pastor of that church and leading it to double in size to over 1500 people. Out of that church he led a church planting initiative that started four additional churches one of which was Bridgewood Community Church of Blaine which he pastored for nearly 20 years. He transitioned out of that role at Bridgewood to take leadership in the house of prayer movement in the Twin Cities in 2014. 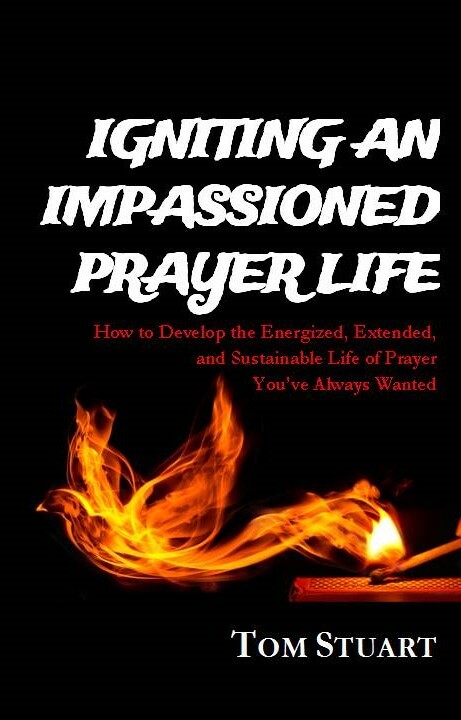 Since then and with the publishing of his book “Igniting an Impassioned Prayer Life” Tom has been serving the greater body of Christ through teaching and training on prayer. In addition Tom is a photographer and ministers to Facebook and Instagram followers through daily Scriptural devotional posts matched to his nature photographs. He also publishes an annual Promise Calendar featuring his photos. Susan maintains a practice as a spiritual director and also serves as a facilitator for Tending the Holy, a two year training program in spiritual direction. Together they share a hearts desire to fan into flame people’s passion for experiencing the joy of God’s presence, in both talking and listening to Him. Ignited2Pray Ministries has been birthed out of that shared ministry focus, to gather, equip, and mobilize individuals and the Church to pray. Ignited2Pray offers prayer gatherings, teaching/training, spiritual direction, and retreats. If you would like to be on an email list to receive notices of ministry events which we offer please click here. This website is offered as an extension of Tom and Susan’s ministry in order to provide encouragement and resources to fulfill those express purposes. As a kind of spiritual architect Tom has dedicated his life to utilizing his gifts as a teacher, writer, coach and consultant to build up the body of Christ. If you would like to receive updated blog posts and notifications on Facebook, Twitter, RSS feed and/or by Email please click the appropriate icon link at the top of the upper right hand column or simply click here.